Dell Chromebook: Which Dell Chromebook should you buy? Owing to the recent updates and enhancement that Chrome OS has received, the operating system witnessed a sudden surge in popularity. In the wake of the same, manufacturers focused their resources on creating the ideal Chrome-based notebook for the consumers. This also led to an overwhelming number of Chromebook options in the market. If you’re someone who is thinking of investing in a Chromebook but are unable to decide on the one, the following article is a detailed guide to the ideal contender – the Dell Chromebook. The Dell Chromebook is specifically designed for executing cloud-based computing tasks efficiently. The device is made to make the most of the integrated Chrome OS. Pre-loaded with the Google Suite of business applications, the Dell Chromebook is ideal for carrying out business-related tasks effectively. The major highlight of the device is the security and convenience that it offers to users. All the data stored within the system is regularly backed up in the cloud to ensure easy recovery in case of data loss. Overall, the Dell Chromebook is the perfect choice if most of your routine involves being online and executing your daily tasks on the web. 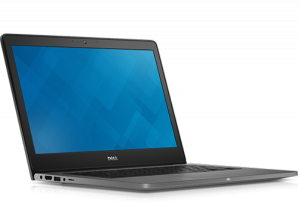 Seamless Operating System IntegrationThe Dell Chromebook operates on the latest build of Chrome OS and is created primarily for the fluid functioning of the same. Therefore, owing to the appropriate specifications, users will never struggle with lag or force closures of applications while using the device. 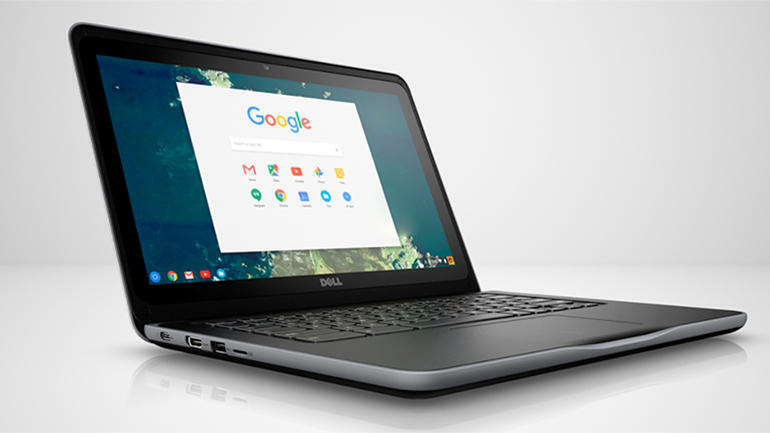 Also, the Dell Chromebook comes pre-packaged with the essential suite of Google applications including Chrome Browser and other Google cloud-based applications. Easy NavigationFollowing Google’s material design, the operating system inside the Dell Chromebook is reputed for its ease of use. With Dell’s optimizations layered on top of the operating system, the user experience is relatively simple compared to other operating systems. Despite its minimalistic operating system design, the device doesn’t compromise with its efficiency and is capable of providing an experience that rivals the other operating systems. 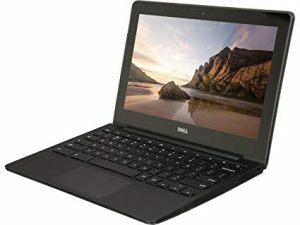 VersatilityThe Dell Chromebook, owing to the Chrome OS integration, is capable of running native Android application along with support for a few native Linux programs as well. This allows the device to be extremely versatile in its usage. Users can access the Google Play Store and all of the available applications. The Dell Chromebook is capable of executing any kind of task that you throw at it, including casual gaming and light media editing through the Play Store. Durable BuildThe Dell Chromebook is equipped with a spill-resistant keyboard with rubberized edges that prevents water damage. Added to that, the light plastic build enables the device to considerably resistant to drops and other stressful situations. The lightweight chassis allows the device to serve as the ideal companion to take on long trips and vacations to stay connected with the world. Lack of HardwareIf you’re looking to invest in a device which meets the industry standards and is capable of fluidly running Windows-based applications then the Dell Chromebook isn’t for you. Although the device has satisfactory hardware to run the Chrome OS without any hiccups, installing Windows on the Dell Chromebook will render it unable to function without lags. Therefore, if you want to invest in a device that can aid you in heavy media editing or be an ideal gaming machine, you shouldn’t be considering the Dell Chromebook. Regardless of the wide selection of applications from the Google Play Store, the Dell Chromebook still fails to get on par with the sheer convenience of Windows-based applications and programs. Chrome OS, despite the recent updates, lacks applications that can rival their Windows counterpart in efficiency and control. Hence, it is suggested that if you’re used to the Windows environment and the convenient features it offers, you shouldn’t be investing in the Dell Chromebook. Full HD has certainly become an industry standard in today’s era. Even budget devices are offering their users vivid 1920×1080 display resolutions. However, the Dell Chromebook remains stagnant at the 1366×768 resolution of the previous generation. Due to the same, the device is bettered by some of its rivals who offer the industry standard FHD resolution at similar price tags. The Dell Chromebook comes in two variants – Dell Chromebook 11 and Dell Chromebook 13. As the name implies, the basic differing characteristic between the two models is the screen size. You can buy Dell Chromebook 11 here. You can buy Dell Chromebook 13 here. When comparing the Dell Chromebook to a few of its rivals, a few noticeable flaws emerge within the device. For instance, the Acer Chromebook 15 provides you significantly better features such as the FHD IPS display with a larger 15.6-inch screen along with remarkable battery life for its size. As for the price, the HP Chromebook 14 comes nearly at the same cost of the Dell Chromebook and offers its users enhanced features such as a better display. The Dell Chromebook is certainly capable of executing everyday web-based task efficiently. With an above average battery life and seamless Chrome OS integration, the device is certainly a running contender for the best Chromebook on a budget. Added to that, the ability to run native Android and Linux applications is something that can’t be ignored. However, when it comes to specifications, there are more powerful options available in the market if you’re willing to cover the price difference. We are a group of tech experts and Hobbyists who write about tech to inform and educate the tech community.